In 1842, this Federal-style house was the headquarters of a political revolution. The owner Burrington Anthony was a supporter of Thomas Wilson Dorr and his effort to expand voting rights. At that time, only white men of property could vote, disenfranchising much of the state, particularly the growing numbers of mill workers in this part of the city. In May 1842, Dorr came to this house a pretender-governor. Brandishing a sword and threatening bloodshed, he gave a fiery speech to the armed men that had gathered there. A pair of raided cannon was positioned in the middle of the avenue, facing down the hill into the city. In the early hours of May 18th, surrounded by dense fog, two hundred men marched from this house through winding streets to a small arsenal on the Dexter Training Grounds. Bells across the city tolled the alarm, but Dorr's cannon fizzled, and so did his revolution. Dorr was tried for treason and imprisoned, but ultimately pardoned. Anthony survived unscathed, living in this house until his death in 1853. A new state constitution expanded the franchise but retained restrictions, particularly targeting foreign-born citizens. Notably, most racial qualifications were removed, making voting rights in Rhode Island more color-blind in 1843 than gender- and class-blind. 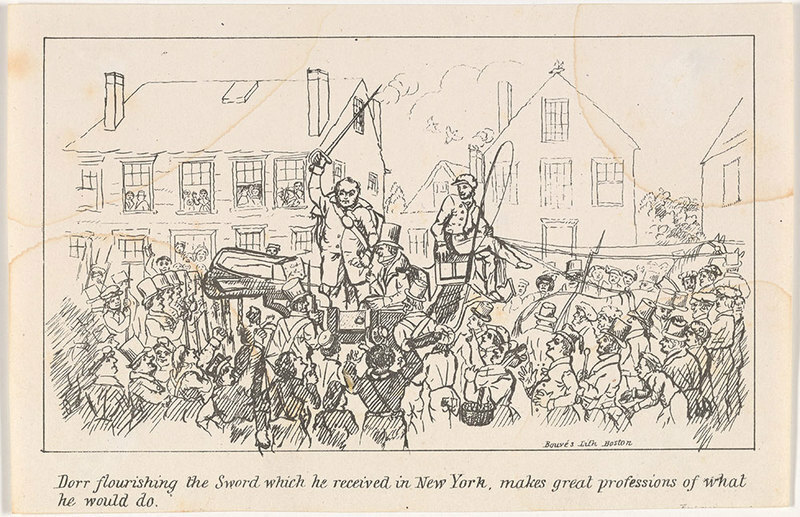 Illustration of Revolution in Action: This is Thomas F. Hoppin's contemporaneous illustration of the gathering in front of Burrington Anthony's house on May 17, 1842. ~ Source: Sidney S. Rider Collection, John Hay Library, Brown University Library. 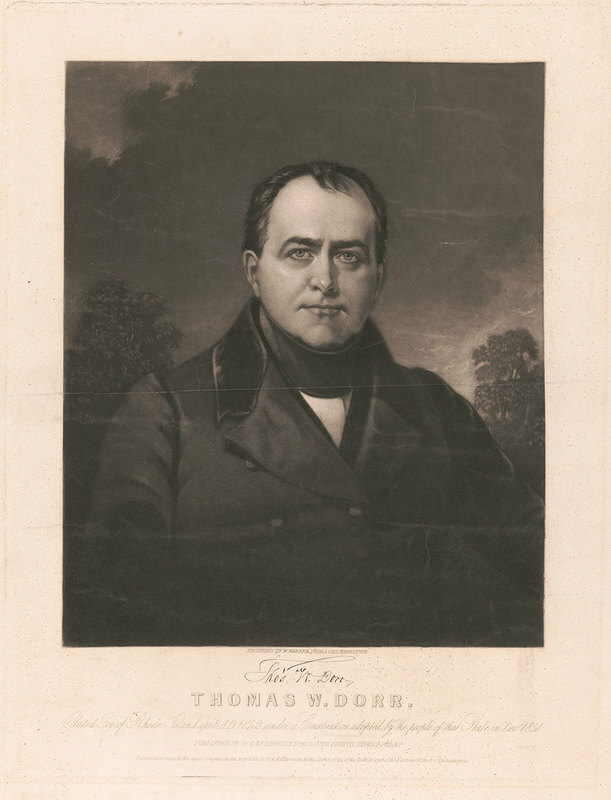 Thomas Wilson Dorr: Thomas Wilson Dorr (1805-1854) led a movement in 1841 to expand suffrage rights, which were highly restricted in the colonial Constitution that still governed Rhode Island. Burrington Anthony's House: Taken by John Hutchins Cady, a legendary Providence architect and historian, this photo shows Burrington Anthony's Federal-style house as it appeared in the 1950s. ~ Source: Rhode Island Collection, Providence Public Library. John Hutchins Cady (1881-1967) documented much of Providence’s historic architectural landscape. His scrapbooks are at the Rhode Island Historical Society and the Providence Public Library. 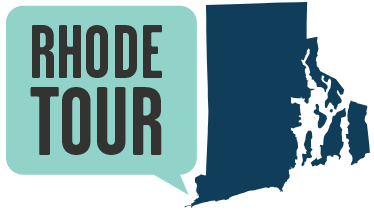 Follow this link to the Providence Public Library’s website to page through Cady’s scrapbooks of old Providence. 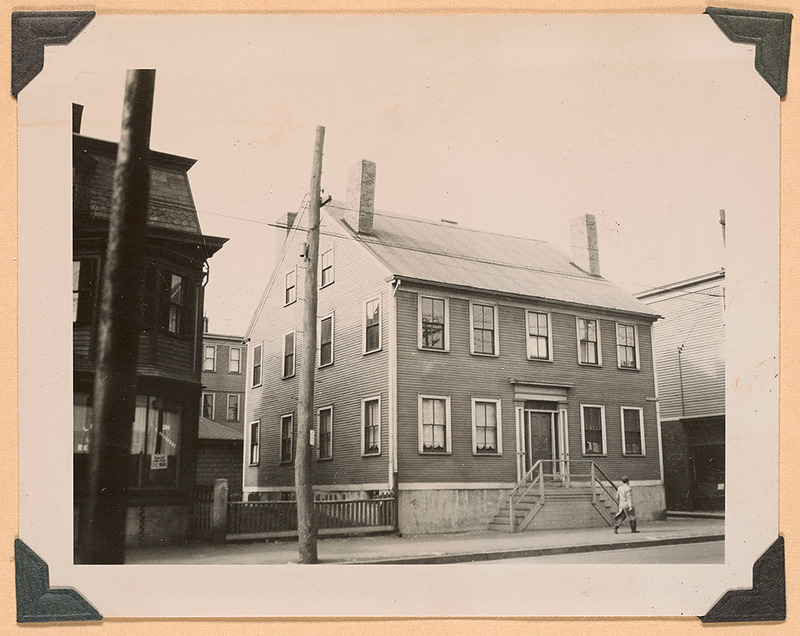 Taylor M. Polites, “Burrington Anthony House,” Rhode Tour, accessed April 21, 2019, http://rhodetour.org/items/show/150.